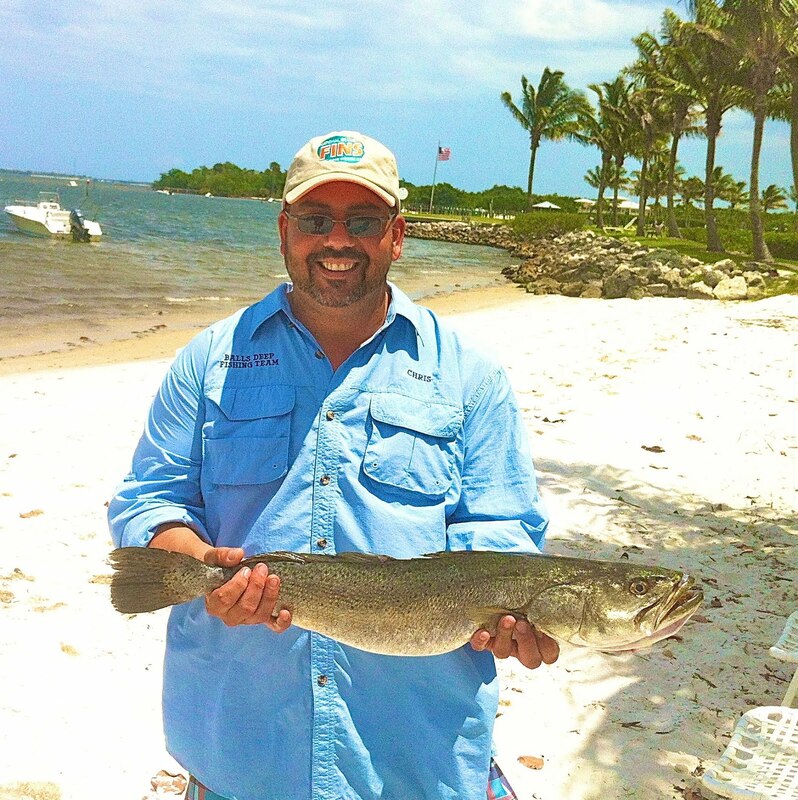 The inshore fishing in July should be about as good as it gets for trout. A lot of big gator trout should be caught at first light and again just before dark on top water baits like a Zara Spook, Top Dogs or a MirrOdine at places like the Mooring’s Flats, Round Island or Bear Point. During the mid-morning and afternoon try a live pilchard or a pigfish and fish it under a popping cork with 24-inches of 20-pound fluorocarbon leader and a 5/0 Kahle hook. Try the area around Torpy Road, Midway Road or at Jack Island. The redfish bite should also be good for anglers using a live shrimp or small crabs. Fish around the mangroves and the islands to the north of the North Bridge. Again, use a 20-pound fluorocarbon leader and a #2 live bait hook. Snook season is closed, but you can look for some good catch and release action around the docks of both north and south Indian River Drive. Try throwing a live bait like a pinfish, pigfish, pilchard or a mullet under the docks. For this I like a 40-pound fluorocarbon leader, a 5/0 live bait hook and a medium action rod—something with a little back bone in it. Look for the tarpon action to be good during the low light hours. Hot spots should be Big Mud Creek, Fort Pierce Inlet, the turning basin and on the beaches. A good size mullet will be hard to beat. I use the same tackle as for the snook but sometimes it is not enough. Tripletail should be around the channel markers and taking live shrimp fished on a ¼-ounce Troll-Rite hook with 18 to 24 inches of 20-pound fluorocarbon leader. And, last but not least, look for some good snapper action along the channel edges and around the area bridges. A small white bait or a live shrimp would be my choice and try using a ½-ounce lead, 18-inches of fluorocarbon leader and a #2 long shank hook. The time around the full moon will be the best.